The beer based margarita is now introduced with strawberry flavoring. This is our take on the traditional margarita. 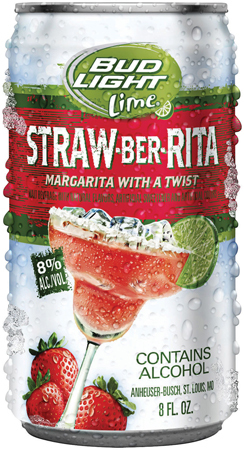 Beer drinkers were already mixing Bud Light Lime into margaritas to create ?beer ritas'; Lime-a-Rita just adds a new level of convenience by providing a beverage with the perfect balance of flavors.